Nr KNOCKMAON BRIDGE (River Brickey): 2 singing Blackcaps. RAM HEAD: 9 Common Scoters flew past. BOHADOON (nr Crohaun): 2 Spotted Flycatchers (in mature conifers), high densities of Whitethroats in young conifers (at least 7 singing males), and small numbers of Siskins. 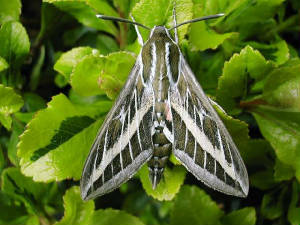 KNOCKACAHARNA WOOD (south of Tooraneena): Hummingbird Hawk-moth. DUNGARVAN: A late (summering?) Brent Goose on the Cunnigar. WATERFORD CITY: Blackcap at St John's College. RATHGORMUCK/CLONEA POWER area: 2 Blackcaps. HELVICK HEAD: 15 Storm Petrels & 2-3 Puffins. 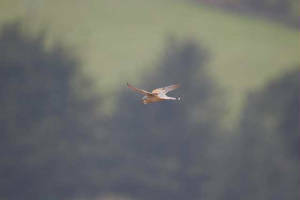 Nr LISMORE: Male Hen Harrier between Lismore & the Vee, Jay at Ballyrafter Woods. COMERAGH MOUNTAINS: At least 2 Woodcock roding & 2 Grasshopper Warblers singing in young forestry. 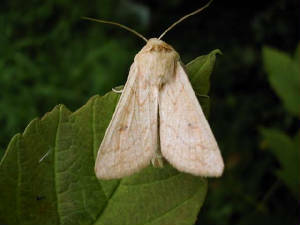 BROWNSTOWN HEAD: An Arctic Skua flew east; also migrant moths including a Delicate. TALLOWBRIDGE/LISMORE area: Stock Dove pair, Spotted Flycatcher, total 18 adult Yellowhammers (singles & pairs). KILLAHALY WOOD: 2 Blackcaps (also 1 near Cappoquin). Nr KILMACTHOMAS: Yellowhammer & 2 Dippers. GORTNALAGHT WOOD (Lemybrien): 4 Blackcaps. Nr BUNMAHON: Little Egret along River Mahon. BROWNSTOWN HEAD: 4 Pomarine Skuas flew east (1415-1455 hrs), Great Skua offshore. TRAMORE BACKSTRAND: 23 Little Egrets. RAM HEAD: A Pomarine Skua flew west, also good numbers of Manx Shearwaters. AGLISH area: Stock Dove, Spotted Flycatcher, 2 Blackcaps, & 3 Yellowhammers; also a Hummingbird Hawk-moth. OWENASHAD RIVER, N of Lismore: 2 Dippers (1 recently fledged) & a Blackcap. 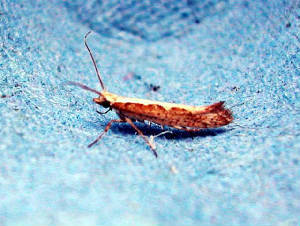 BROWNSTOWN HEAD: Migrant moths included 3 Striped Hawk-moths & 1 Delicate. 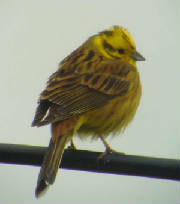 LOWRY BRIDGE/WHITESTOWN, nr Mothel: 7 Stock Doves, Jay, Spotted Flycatcher pair, 6 singing Blackcaps & a Yellowhammer. BROWNSTOWN HEAD: 2 Turtle Doves & a Spotted Flycatcher. GARRARUS: 100s of Manx Shearwaters circling & feeding offshore in evening, also 2 Great Northern Divers. RAM HEAD: Also 100s of Manx Shearwaters offshore in evening, along with 2 Great Northern Divers, c.40 Common Dolphins & a Minke Whale. BALLINVELLA, nr Lismore: 2 Spotted Flycatchers and numbers of Yellowhammers. 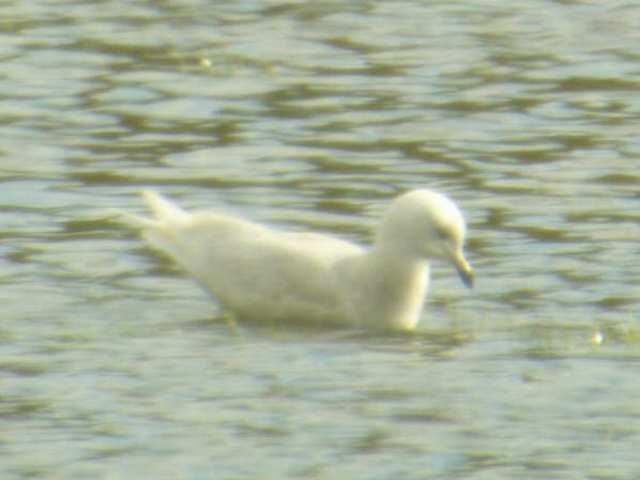 BROWNSTOWN HEAD: 2nd-summer Glaucous Gull (1st known record for here), 2 Whimbrel, Sedge Warbler, Blackcap. 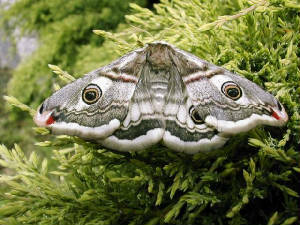 CURRAGHMORE area: Cuckoo, Jay, 12 Blackcaps (10 singing), Red Squirrel & Holly Blue butterfly. BROWNSTOWN HEAD: Whimbrel, Turtle Dove, Sedge Warbler; also 2 Common Lizards. MAHON BRIDGE to KILCLOONEY: Cuckoo, 2 Spotted Flycatchers & 6 singing Blackcaps. BALLYSHUNNOCK RESERVOIR: A late (summering?) 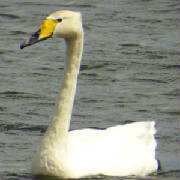 adult Whooper Swan, 2 Great Crested Grebes & 2 Blackcaps. BROWNSTOWN HEAD: Spotted Flycatcher, otherwise only single Whitethroat & Chiffchaff. 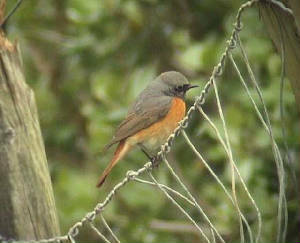 KILMACTHOMAS area: Spotted Flycatcher (nr Flahavan's Mill), Stock Dove, 5 singing Blackcaps, 3 Dippers & 4 Yellowhammers. Nr KNOCKADERRY RESERVOIR: Stock Dove, Yellowhammer. TINNABINNA (nr Youghal Bridge): 13 Whimbrel, 2 Blackcaps (Tinnabinna Wood). DUNGARVAN: 31 Brent Geese at Kilminnin. CLONEA STRAND/BALLINARD: 3 Great Northern Divers, 61 Brent Geese, including a dark-bellied Brent, 68 Whimbrel, 15 Knot & 60 Sandwich Terns. HELVICK HEAD: Spotted Flycatcher (first of year), small nos of Blackcaps & phylloscs; lots of Sandwich Terns and small nos of Common/Arctic Terns. HELVICK HEAD to ARDMORE: Whitethroats at most locations along coast. 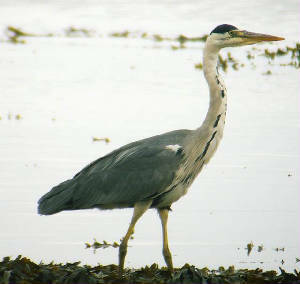 CLONEA STRAND: 74 Brent Geese, including a dark-bellied Brent, 14 Whimbrel & 66 Bar-tailed Godwit. DUNGARVAN: 65 Brent Geese at Kilminnin. RATHMOYLAN: Single Sedge Warbler, Whitethroat, Blackcap & Yellowhammer. Nr MOUNT CONGREVE: Jay & Swift. 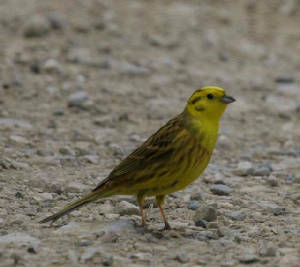 BALLYGARRAN/LISSAHANE (W of Knockaderry): 2 Sedge Warblers, 2 Whitethroats (first of year), Blackcap & 3 Yellowhammers. ANNESTOWN BOG: Whitethroat, 2 Blackcaps & 2 Sedge Warblers. RAM HEAD: Great Northern Diver, 12 Choughs. Nr KILMACTHOMAS: 4 singing Blackcaps just E & Nof town, Dipper just N of town, pair of Stock Doves & 2 Yellowhammers in Newtown area. BROWNSTOWN HEAD: 3 Whimbrel, 5 Wheatears, Sedge Warbler, female Blackcap & 8 Willow Warblers. MONAVULLAGH MOUNTAINS: Male & female Hen Harrier, 26-27 Apr. 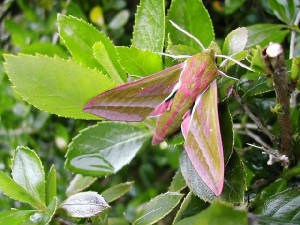 At Cruachan, Long-eared Owl, 26, 27 & 28 Apr; Grasshopper Warbler, 25 & 26 Apr; & 2 Cuckoos. CARRIGNAGOUR, nr LISMORE: Flock of 15-20 Crossbills. Nr THE VEE: Female Hen Harrier. DUNGARVAN: 2 Swifts (first of year) at Abbeyside. STONEHOUSE (R. Suir): Common Sandpiper. EAST WATERFORD: Up to 2 Buzzards south of Waterford city - 1 on 19 & 25 Apr, 2 on 22 & 26 Apr. Nr LISMORE: Pair of Jays. BALLINARD: 2 Grasshopper Warblers. several Wheatears. BALLYSHUNNOCK RESERVOIR: 4 Great Crested Grebes, singing Blackcap; also an Otter. BALLINLOUGH: Grasshopper Warbler & 2 Sedge Warblers. BROWNSTOWN HEAD: Wheatear, 3 Willow Warblers & 2 Chiffchaffs. VARIOUS: Lots of Whimbrel & Willow Warblers, & small numbers of Red-throated Divers, along coast. 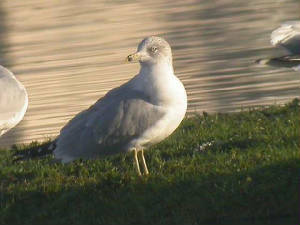 HELVICK HEAD: Yellow-legged Gull, 3 or 4 Grasshopper Warblers. DUNGARVAN: Cuckoo at Ballynacourty, Shoveler in bay, Common Sandpiper at Ballyneety. 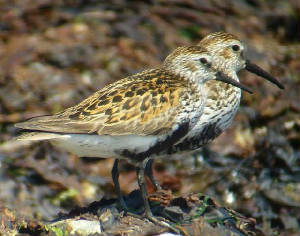 KNOCKADERRY RESERVOIR: 8 Common Sandpipers. KILMEADEN POOLS: Green Sandpiper & 5 Wheatears. BROWNSTOWN HEAD: Sedge Warbler, male Blackcap, 12 Willow Warblers, 3 Chiffchaffs & a Tree Sparrow. THE VEE: Crossbill pair on road, also heard at nearby Killballyboy Wood (Co Tipperary). CARRONADAVDERG (Drum Hills): 2 Crossbills. SUGAR LOAF ROCK: Blackcap singing. 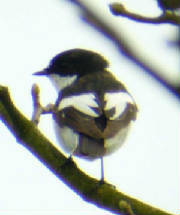 BALLYHOO, nr Tramore Road: Dipper. 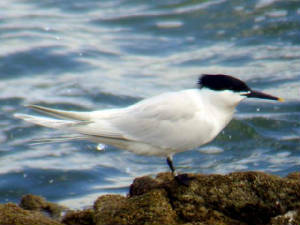 WHITING BAY: 2 White Wagtails, 4 Wheatears. BROWNSTOWN HEAD: 9 Willow Warblers, 1 Chiffchaff. BROWNSTOWN HEAD: Merlin, Black Redstart, male Redstart, 3 Wheatears, 2 Grasshopper Warblers, 2 Blackcaps, 8 Goldcrests & good numbers of phylloscs (including 5 Chiffchaffs & 5 Willow Warblers ringed). 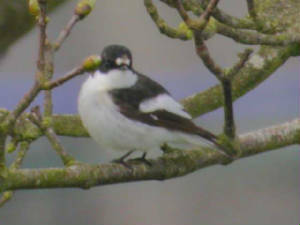 HELVICK HEAD: Male Pied Flycatcher. Nr CLASHMORE: Blackcap singing along R. Lickey. Nr YOUGHAL BRIDGE: 9 Crossbills flew over D'Loughtane Crossroads. ARDMORE: Tree Sparrow at a garden feeder. 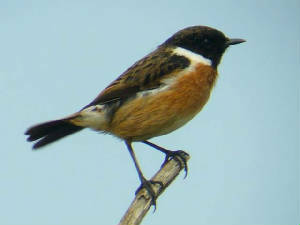 WHITING BAY: Jack Snipe, Red-throated Diver, 6 Sandwich Terns, 6 Sand Martins & a Wheatear. BALLYSCANLAN HILLS: 4 Willow Warblers & 4 Chiffchaffs singing; also 4 Sand Martins & 50 Siskins. 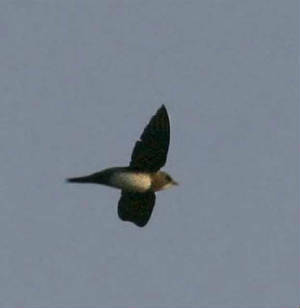 VARIOUS LOCATIONS: Swallows at several sites, including Ram Head. CORRANASKEHA, nr TALLOW: Willow Warbler & 2 Chiffchaffs singing. CASTLETOWN FEN: Snipe drumming, 2 Water Rails calling. WATERFORD CITY: Chiffchaff singing, Ardkeen. VARIOUS LOCATIONS: Swallows at several sites in west Waterford. 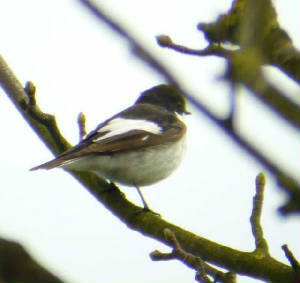 BALLYDUFF: House Martin (1st reported), Barnawee; also Swallows in town. 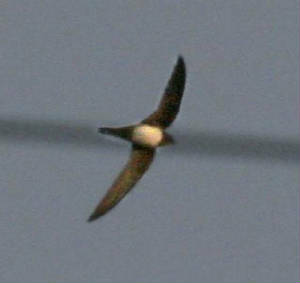 DUNGARVAN: ALPINE SWIFT over the town, early evening, also Swallows. RAM HEAD: 4 Sandwich Terns, 16 Choughs. 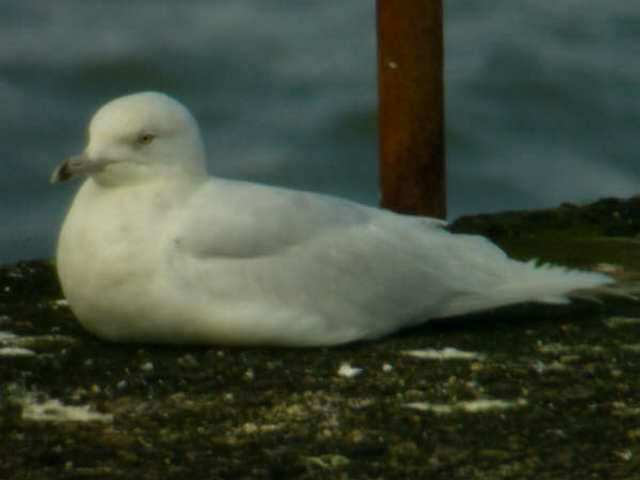 HELVICK HEAD: 3rd-winter Iceland Gull, Great Skua, lots of Manx Shearwaters, & 2 male Wheatears. DUNGARVAN: 3 Sand Martins, also small numbers of Red-throated Divers & Sandwich Terns in bay. CLONEA STRAND: 19 Great Northern Divers, 7 Sand Martins. 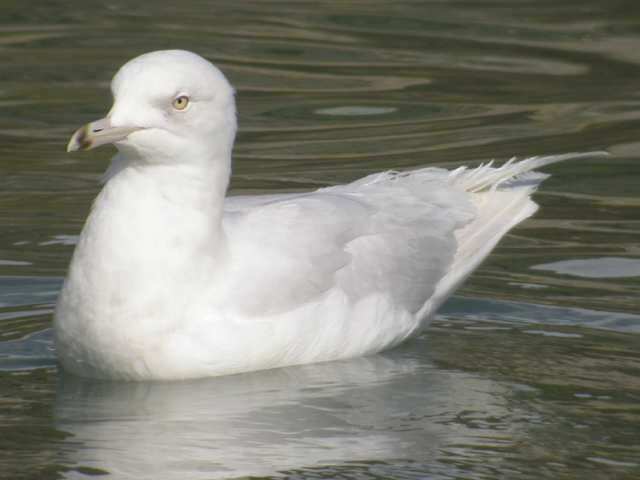 BUNMAHON: 2 Iceland Gulls (adult & 1st-winter). KILMEADEN: Green Sandpiper, 1 or 2 Water Pipits, 5-6 Sand Martins.